At BHS, the misuse of prescription medications leads to more serious medical issues and a greater number of hospitalizations than any other type of drug. In the school-wide Youth Risk Behavior Survey of 2009, about 8% of BHS students reported abusing prescription drugs, a statistic that reflects the rising national trend. One in five high school students in the US has abused prescription drugs. 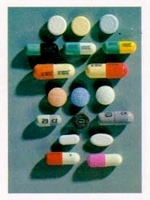 Prescription drugs are the second most abused category of drugs after marijuana. The steep rise in drug-induced deaths over the last decade has been driven by prescription opioid overdoses, which far exceed deaths from heroin and cocaine. What are the most abused Rx drugs? Why is Rx drug abuse rising? The widespread use of prescribed medications to treat psychological and neurological conditions, and to treat the baby boomer generation, has increased availability and might imply that such drugs are safe. Conversely, research implicates the under-medication of children and teens for mental health issues, who may consequently seek to medicate themselves. Which teens are most vulnerable to Rx drug abuse? Substance abuse issues overlap widely with mental illness. Fifteen to thirty percent of people with conditions such as depression, anxiety and ADHD also have substance abuse problems – and, likewise, people with substance abuse issues are likely to have another mental illness. Other risk factors include a family history of addiction; abuse, neglect or other traumatic experiences in childhood; early use of drugs; low self-esteem or social marginalization; feeling sluggish, sleep difficulties; and a rebellious attitude towards authority figures. What are the risks of Rx drug abuse? The health risks range from fatigue, confusion, and impaired memory and judgment to respiratory failure, cardiac and neurological damage, coma and death. Those who consider themselves recreational users are often unaware that medications may cause physical dependence and result in serious or dangerous withdrawal symptoms. Possessing or supplying medications without a valid prescription, or driving under the influence of prescription medications, can result in criminal charges. The more signs and symptoms you observe, the more concerned you should be. On June 9, 2011, BHS and B-CASA hosted a forum featuring speaker Dr. Tony Schlaff of the St. Elizabeth’s Comprehensive Addiction program (also a Brookline resident and parent, and director of the MPH program at Tufts Medical School). Peer Leaders, parents, school faculty and other community representatives discussed the causes of Rx drug abuse in Brookline and its possible solutions.